stuff to hear, buy and learn with. 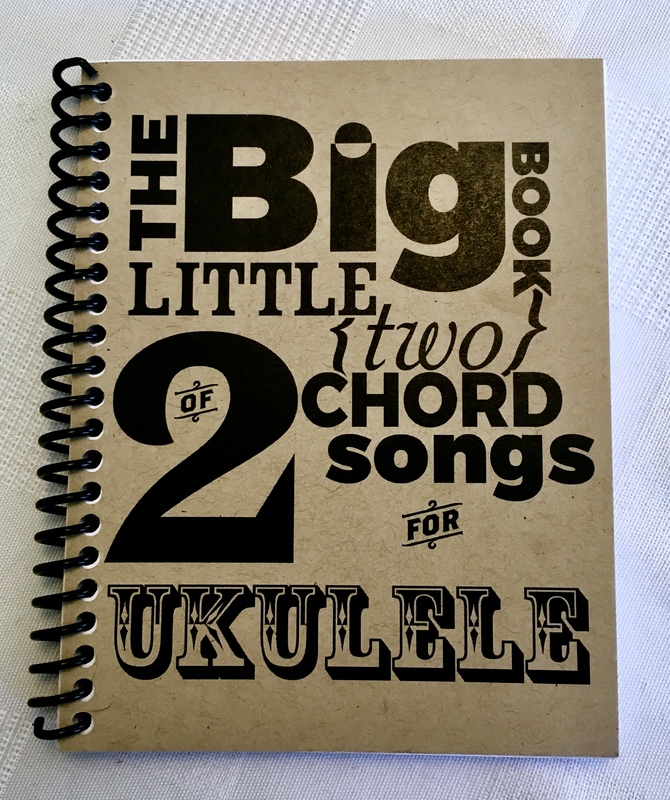 Over 60 songs for Ukulele with most two chords! Everything from Gospel to Pop to Kids Songs and everything in between. 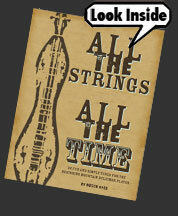 Complete with strum patterns and starting notes. Plus bonus songs and a Chord Chart. featuring Bing Futch, Guy George, and Danimal Pinson! THE NEW CD An 11 song album of mostly original story songs, featuring "Shenandoah", "Glad That We're Together", "Little Liza Jane" and "The Path of Least Resistance"
This 14-track, all-instrumental dulcimer CD contains a mix of original and traditional material, plus guest performances from Gary Gallier, Quintin Stephens and Stephne Seifert. 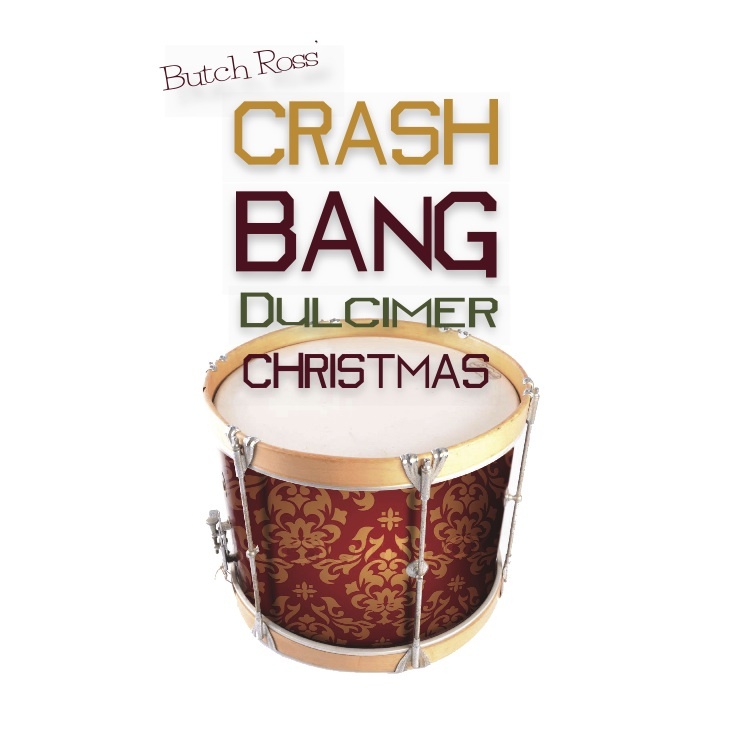 Click here to go to the Christmas Music page. or as a digital download new! Get it from CD baby here. The debut duo album from Butch and Christie. An intoxicating mix of sweet hammered dulcimer and propulsive guitar, topped with some sweet songs and a little mountain and hammered dulcimer action. 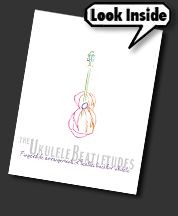 13 Beatles tunes arranged for solo fingerstyle Ukulele. Comes a link to online videos of the tunes. 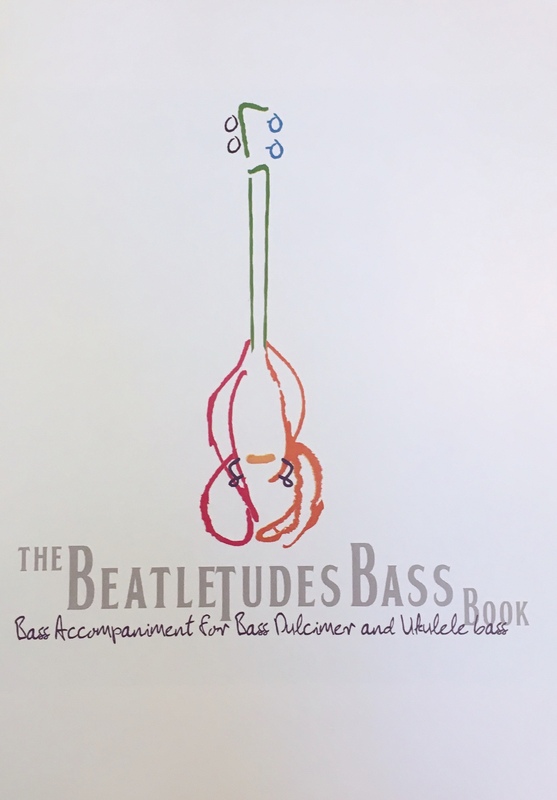 A companion book for both the Beatletudes and the Ukulele Beatletudes, it features Beatles tune bass lines arranged for Uke Bass, Dulcimer bass and regular bass guitar. 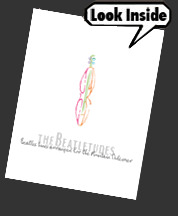 Comes with downloads to the Beatles tunes transcribed. 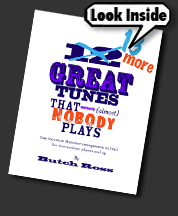 12...no 13 fun and fairly easy tunes that don't show up in club repertoire too often. In D, as well as thier original keys. For late beginner to early intermediate players. 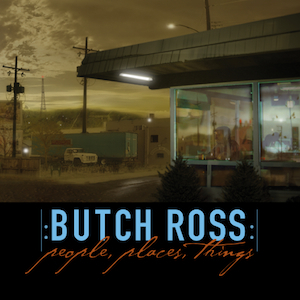 Includes: Barlow Knife, Old Yellow Dog, Squirrel Heads in Gravy, Booth Shot Lincoln, John Brown's Dream, Shove That Pigs Foot a Little Further in the Fire, Little Billy Wilson, Cuckoo's Nest, Hunting the Buffalo, Cumberland Gap, Shady Grove (Major Key Version), Old Chattanooga, and Wild Mountain Thyme. $20 with CD. A new baker's dozen set of wonderful tunes that are not often played by clubs. Cd feature the tune played on Mountain Dulcimer with Bass and Guitar accompanyment. 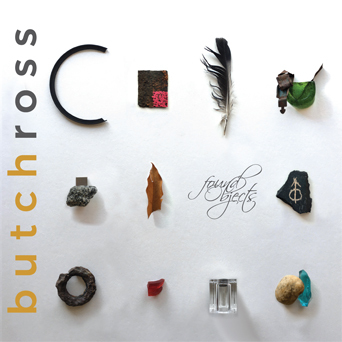 15 transcriptions of all the songs on Butch's "Christmas Card" CD. 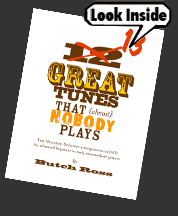 Most tunes are suitable for novice to intermediate players, with the occasional knuckle-buster thrown in for good measure. Includes: Good King Wencelas, We Three Kings, What Child Is This?, Jingle Bells/Here Comes Santa Claus, God Rest Ye Merry Gentlemen, O Little Town Of Bethlehem (Merv Rowley's 1-3-5 arrangment), Come All Ye Faithful, My Favorite Things, Carol of the Bells, Hark! Angels! 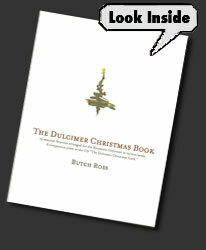 Joy!, Linus and Lucy, Away in a Manger, Silent Night. Available without the CD for $15 or with for $25. 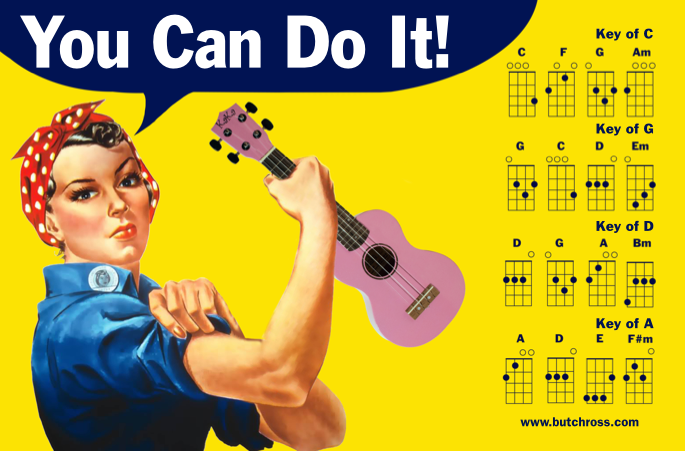 A surprisingly useful poster featuring Rosie the Riveter and jam packed with Uke chords and useful informaton.